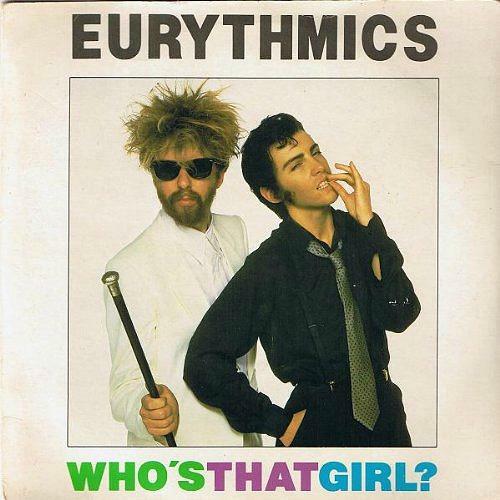 There is no doubt in my mind that Eurythmics were right up there with the best of the 80s synthpop duos. When I first heard the goosebump-inducing, electro-pop sound of Sweet Dreams (are Made of This) on Radio 1, I couldn't wait to rush down to Woolies and buy the 12 inch single - how I miss Woolworths. Both Dave Stewart and Annie Lennox were previously in the British post-punk, rock and pop band The Tourists, who had two top ten hits in the UK with I Only Wanna Be With You and So Good To Be Back Home Again. The band started life as The Catch in 1975, and the original line-up included the guitarist and singer/songwriter Peet Coombes, Dave Stewart and Annie Lennox. Coombes and Stewart moved to London and met Lennox after she had abandoned her flute and keyboard music course at the Royal Academy of Music. Bass guitarist Eddie Chin and drummer Jim Toomey joined the band in 1977 and they became The Tourists, releasing three albums and six singles. Despite some commercial success, the music press never warmed to the band and they disbanded in 1980. Lennox and Stewart were quick to form Eurythmics, although it would be another three years before they achieved any commercial success. The duo released their debut album in October 1981 which included ten tracks. In The Garden was released on LP and cassette by RCA Records, but failed to chart. Two tracks were released as singles. Never Gonna Cry Again reached #62 in the UK charts and Belinda which failed to chart. 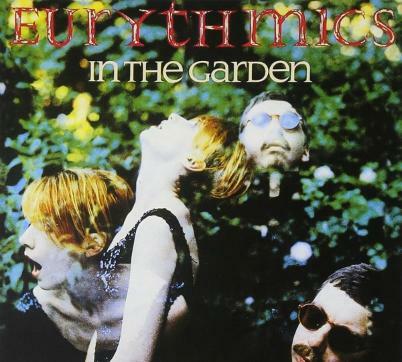 On 2nd April 1982, Eurythmics released a third single entitled This Is The House, which they recorded on their 8-track home studio - this was financed by a bank loan. Sadly, the single failed to even chart. A fourth single was released on 18th June 1982. The Walk was, once again, recorded using an 8-track home studio and charted at #89 in the UK. Both This Is The House and The Walk were included on the duo's Sweet Dreams Are Made Of This album. I was deeply into electronic music from quite an early age, and this was the first electro-pop record that I bought for myself. I regret only buying it on 7" vinyl, though. Why didn't I purchase the 12 inch? Damn fool! 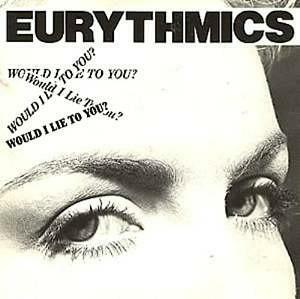 Love Is A Stranger was the first single to break in the Top 40 for Eurythmics, reaching #6 in the UK and #23 in the U.S. The track featured on the band's second album Sweet Dreams (Are Made Of This) which achieved Platinum sales in the UK. Initially, "Love Is A Stranger" failed to hit the top 40, but after the their first commercial success in the UK with "Sweet Dreams", it was re-released and climbed into the top 10. I loved the synth-based sound of Dave and Annie's earlier singles - "Sexcrime - 1984" was another favourite of mine - but a more rock-based sound was to follow, leading to many more years of big chart hits, such as "Thorn In My Side" and "Would I Lie To You". When the Americans thought Annie Lennox was a transvesite! Sweet Dreams was the title track from the duo's second album became their breakthrough hit, reaching #2 in the UK and topping the Billboard Hot 100. The B-side was an alternate version of I Could give You A Mirror and on the 12" a third track was included entitled Baby's Gone Blue. 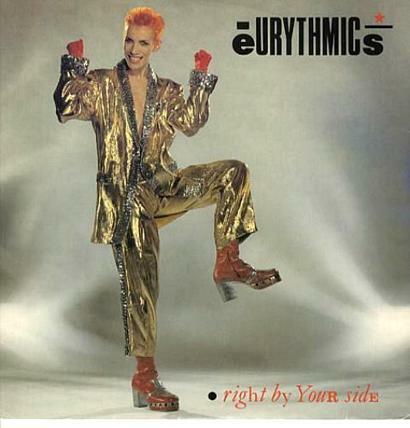 Sweet Dreams is widely regarded as Eurythmics' signature tune. Annie Lennox's androgynous look in the video caused much controversy in the U.S. When she removed her curly, blonde wig to reveal her close-cropped, red hair, many people mistakingly believed she was a transvestite. The first single to be lifted from the duo's third studio album, Touch, was a fabulous synth ballad. 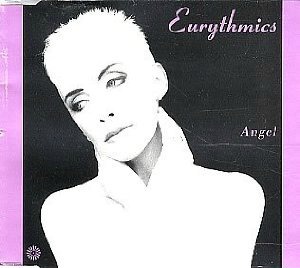 Released in June 1983, the video featured more gender confusion when Annie Lennox kissed a male version of herself. A number of 80s pop stars appeared in the video including the ladies from Buck Fizz, Kiki Dee, Bananarama, Hazel O' Connor and Kate Garner from Haysi Fantayzee. Bananarama member Siobhan Fahey married Dave Stewart in 1987, although by 1996 they were divorced. They produced two sons, Sam and Django James. Who's That Girl? reached #3 in the UK, #21 in the U.S., #15 in Canada, #17 in Australia and was also a European hit. Dave with Annie as a man on the sleeve of Who's That Girl? The second single from Touch was released in October 1983, reaching #10 in the UK, and #29 in the U.S. It featured a tropical flavour with a calypso provided by synthesized steel drums and marimba sounds. This very British song was released in 1984, and it's one that I played pretty frequently come rain or shine. The track was the third single to be released from the Touch Album (the first in the U.S.). It was the duo's fifth consecutive top ten hit single and reached No.8 in the UK and No.4 in the U.S. on the Billboard Top 100. The lead single from the pop duo's fourth studio (Be Yourself Tonight) marked a significant change in musical direction, with a more rock orientated sound. The track included a full backing band and was produced by Dave Stewart. Chart performance in the UK was slightly disappointing - I've never understood why it didn't reach the top ten - but fared better in other countries, topping the Australian charts and reaching #5 in the U.S., Canada and New Zealand. 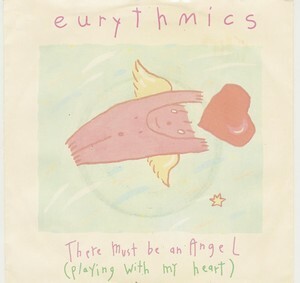 Although There Must Be An Angel was the duo's most commercially successful single, I never really liked it as much as most of their other 80s songs. I much prefer the duo's earlier electronic sound, although I also like some of their more rock-orientated tracks such as Thorn In My Side. For me, the highlight of this song is the harmonica solo by Stevie Wonder. This was the second single to be released from the band's fifth album Be Yourself Tonight, and topped the UK charts, but only managed #22 in the U.S. 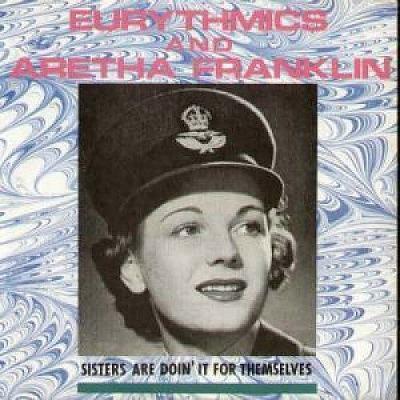 This memorable feminist anthem featured soul queen Aretha Franklin, who provided the vocals alongside Annie Lennox. 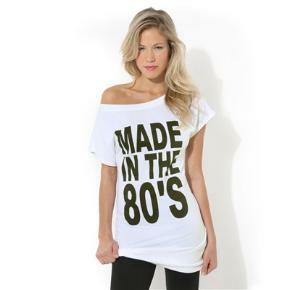 It was released in October 1985. The final single from Be Yourself Tonight was accompanied by an innovative video which mixed live action with computer animation. Released in December 1985, the song reached #12 in the UK, but could only peak at #78 in the U.S. Written in 1989, but not released until May 1990, Angel was the fourth single to be lifted from the 1989 album We Too Are One, reaching #23 in the UK, but failing to chart in the U.S. Here is a rundown of all of the duo's studio albums and singles. Chart positions for the singles from each album are for the UK and are shown in brackets. Never Gonna Cry Again (#63) and Belinda which did not chart. This Is The House (did not chart), The Walk (#89), Sweets Dreams (#2) and Love Is A Stranger (reissue reached #6). When Tomorrow Comes (#30), Thorn In My Side (#5), The Miracle Of Love (#23) and Missionary Man (#31). Beethoven (I Love To Listen To) (#25), Shame (#41), I Need A Man (#26), You Have Placed A Chill In My Heart (#16). Unusually, the best performing single was the last to be released from the album. Revival (#26), Don't Ask Me Why (#25), The King And Queen Of America (#29) and Angel (#23). In the U.S., (My My) Baby's Gonna Cry was released as a single.